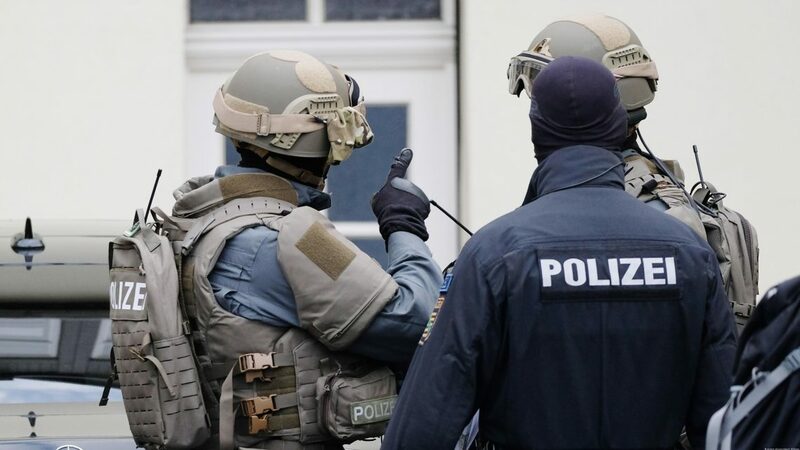 Applying to the German authorities for the refugee status, Islam Batayev and Shaaran Batayev successfully appealed to the court against the search, which had been conducted by police officers in their rented apartment in Neustadt an der Aisch near Nuremberg. The eldest of the brothers, 25-year-old Islam, reported on the decision in their favor of the Supreme Court of Appeal of Nuremberg. The 24-year-old Shaaran had previously been refused his asylum application, and Islam had still not received a response from the German immigration authorities. The refusal is appealed, but the threat of deportation remains true. The case of former residents of the Sunzhensky District, Republic of Ingushetia, has been considered for six years. According to Islam, parents insisted on leaving Russia: their peers in the Republic of Ingushetia, as well as in other republics of the North Caucasus, are kidnapped and tortured by the security forces. “The reason for our departure is frequent visits of officers (of the Ministry of the Internal Affairs, author) under the pretext of passport control; no charges were brought against us. Many of our friends were beaten and tortured, although there was no guilt behind them. Therefore, the parents decided that we should leave,” Islam Bataev said. The brothers arrived in Germany in 2013. In 2016, they were detained for two weeks as wanted through Interpol. It was later revealed that after their departure, a criminal case under the “aiding and abetting illegal armed groups” article was initiated against them. In December 2017, their apartment was once again searched by the police, whereupon their phones were seized. Then, they managed to avoid extradition due to the help of an attorney. Meanwhile, in the Republic of Ingushetia, the Bataev’s family has been never left alone; officers of the Ministry of Internal Affairs come to homes of their relatives and ask them about plans of the brothers. Islam and Sharan remain on the hook: they do not have the right to work and study in Germany, they are fully dependent on the financial assistance of the German state. The younger brother is waiting for a lawsuit with the migration authorities, it is still unclear how long the review of Islam’s application will last. “Our main interviews were lost, I think it was not an accident. I had to hire an attorney,” he added. Asylum-seekers from republics of the North Caucasus in the EU states are increasingly being denied, and several persons have been deported to Russia. In 2018, Bosnia and Herzegovina extradited Akhmed Altamirov, Slovakia extradited Aslan Yandiev, and Poland extradited Azamat Bayduev. Altamirov and Yandiev are in a Russian jail; cases were initiated against them based on fabricated evidence. Attorney Alexey Obolenets, which provided legal assistance to Altamirov and Yandiev, speaks of dangerous tendencies. “A certain tendency is upcoming… firstly in the countries of Eastern Europe, Slovakia and Poland, facts are known in the Czech Republic, there were refusals. Then, we applied in another state, and another state granted asylum,” Obolenets said. The reason, according to the attorney, lies in priorities of both the extreme right and the extreme left populist politicians: international obligations to protect the rights of refugees are less important to them than opportunistic interests and struggles for power. “It has become common in the European Union to delay the review of applications for asylum. 6 years in the Bataev’s case is not a record,” Obolenets noted. “Aslan Yandiev spent seven years in a Slovak prison without charge, and he was extradited, being in the status of an asylum-seeker,” he reminded. According to the attorney, migration authorities explain such terms by overload. Actual reason: officials are trying to get from different sources, including the special services, additional compromising information about asylum-seekers to justify the refusal, and they deliberately delay to justify the refusal with changes in the country of origin. Alexey Obolenets believes that persons with dual citizenship, for example, Russian, may work in offices of the European migration services. After receiving a European passport, immigrants from Russia may save the Russian one as well. In this case, in accordance with the legislation of the Russian Federation, they are obliged to report to the authorities of the country of origin on the information about asylum-seekers, if such asylum-seekers are subject to criminal prosecution. “The authorities of the European Union are not aware of the potential danger that such employees pose to asylum-seekers,” the attorney said.